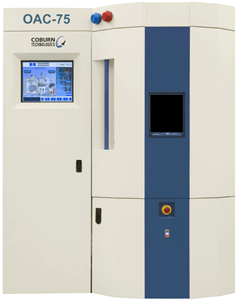 The OAC series of AR lens coating systems from Coburn have been developed to take the mystery out of the coating process and to automate the science of AR. Now virtually anyone can get into the AR business and benefit from its profitability without the mystery, confusion, extensive maintenance, or concern. Every Coburn AR lens coating system is installed ready to support these processes. No guess work, only ready-to-run automation that makes AR lens coating easy. All installations are backed by Coburn’s extensive field support team.